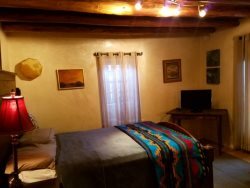 We offer a cordial invitation to explore our offerings at Fridays Off in Santa Fe Vacation Rentals! We strive to ensure that you are as comfortable as possible during your stay. To honor this commitment, we frequently expand and upgrade the services that we provide. Please contact our office for more information on our current offerings.